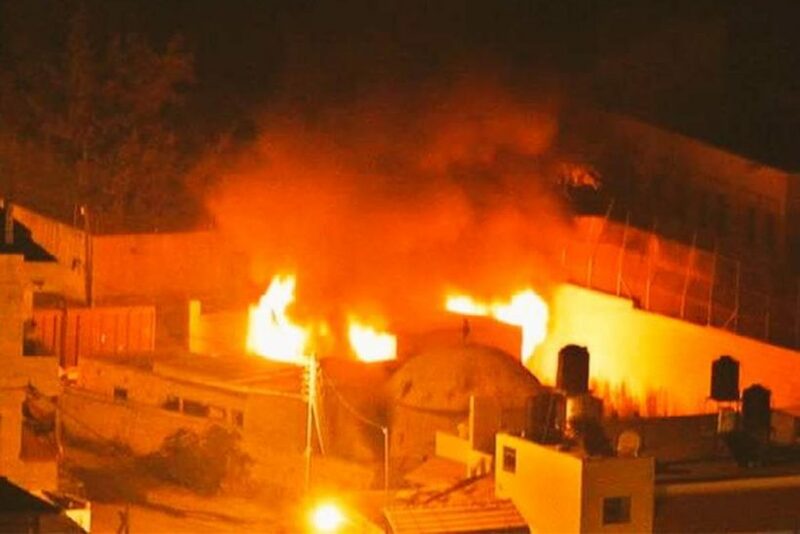 Palestinian rioters torched a Jewish holy site revered as the tomb of the biblical Joseph in the West Bank on Friday, as another “day of rage” in Israel saw two Palestinians killed and at least 27 others injured. It came hours after Israeli PM Benjamin Netanyahu called on the Palestinian leadership to stop a wave of attacks. Flames flared high in the night sky early on Friday at the site on the outskirts of Nablus, as hundreds of Palestinian youths hurled molotov cocktails and fire bombs. A Palestinian flag could be seen in the background of a video clip disseminated on social media sites. 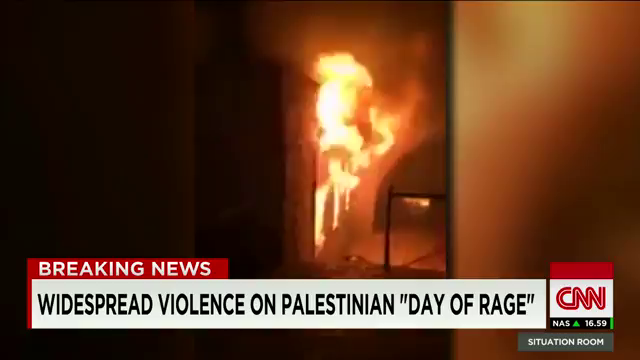 Palestinian firefighters later extinguished the fire, but the site was badly damaged. The compound is believed to be the burial place of Joseph, the son of Jacob whose sale into slavery and subsequent rise to prominence in ancient Egypt is recounted in the Book of Genesis. The tomb has for centuries been venerated by followers of Abrahamic faiths. “Few tombs on earth command the veneration of so many races and men of diverse creeds as this of Joseph. Samaritan and Jew, Moslem and Christian alike, revere it, and honor it with their visits”, wrote Mark Twain of the site during his visit there in late 19th century. It is located in the West Bank, where in recent years a small group of Jewish worshippers have gathered at the site for prayers approximately once a month amid heavy Israeli army presence. Joseph’s tomb is located in a compound in the city of Nablus, which was transferred by Isreal to Palestinian control in 1995. It was ransacked and burnt by Palestinian rioters at start of second uprising in Oct, 2000. During the 2014 Gaza war, a major attempt was also made to torch the site but was prevented by Palestinian security forces. The Israeli army said it would ensure the compound would be renovated and made fit for Jewish worshippers, Israel army radio reported. But in a separate incident in the West Bank on Friday, an Israeli soldier was stabbed in the settlement of Kiryat Arba by a Palestinian disguised as a Palestinian journalist. The soldier was wounded and the attacker was shot dead on the spot. In Gaza, Palestinians clashed with the IDF (Israel Defense Forces) at multiple locations on the border with Israel. A-27-year old Palestinian was killed, and more than 27 others were injured in the violence. Hamas and other Palestinian factions called for a new ‘day of rage’ following their Friday prayers, while Israeli police forces limited entry to the Al Aqsa mosque site – which is holy to both Muslims and Jews – to men over the age of 40. There are no restrictions on women or children. In total eight Israelis and 34 Palestinians – including 15 identified as attackers – have been killed so far this month. Over the weekend, in an attack at a bus station, an Israeli soldier, Sgt. Omri Levi, 19, was shot and killed by a Bedouin Arab gunman. Football matches were cancelled and bars banned from opening on Sunday as Zambians took part in a national day of prayer and fasting in a bid to halt the sliding value of the country’s currency, the Kwacha. The Zambian football association postponed all games and the government announced that bars should not open until 6pm. The call for divine intervention came after exports from Africa’s second biggest copper producer were hit by a drop in global commodity prices. Zambians have also endured power cuts for up to 14 hours a day – lower than usual rainfall has compromised the output of the country’s hydropower plants which supply almost half its electricity. 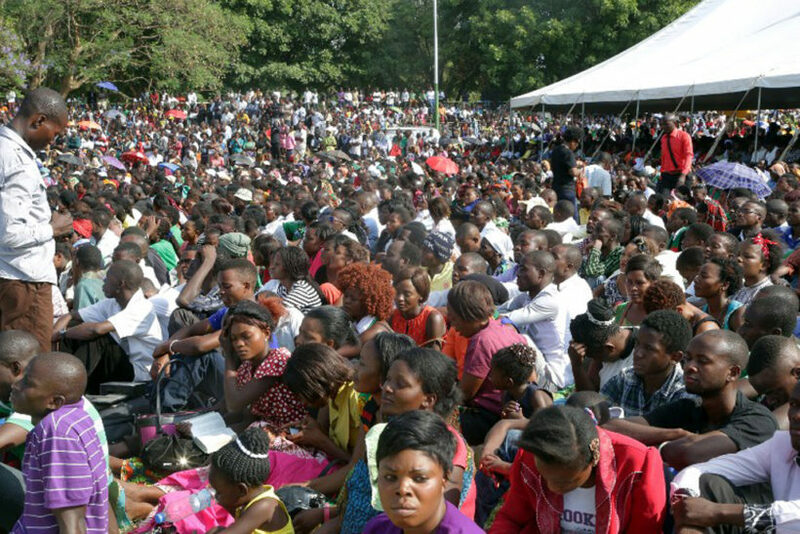 Thousands of Zambians rally to pray at the Show grounds in the capital city Lusaka on October 18, 2015. The Kwacha has slumped by 45 per cent against the dollar this year, the most of 155 currencies tracked by Bloomberg. 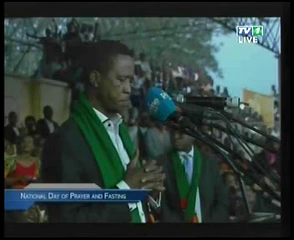 Local media reported that “thousands” of Lusakans attended the prayer event, where Zambia’s President Edgar Lungu released a dove following sermons by religious leaders. At the prayer service, Zambia’s founding president Kenneth Kaunda, prayed that God would help Lungu solve the country’s woes. “God continue to help us solve the problems this young man may face in future,” said Kaunda as he placed his hand on Lungu’s head. Eighty per cent of Zambia’s 15 million people are Christians. Zambians observing the day of prayer and fasting took to Twitter under the hashtag ZambiaPrays. “Whatever happens tomorrow, it makes me proud to be Zambian right now,” wrote Grace Nobutu Mboma. The Chinese ambassador in London has warned the UK not to interfere on human rights issues as it would be offensive to the Chinese president when he comes to the UK. Liu Xiaoming said that he expected the trip next week to herald “a golden era” for the relationship between the two nations but warned that President Xi Jinping would feel “offended” if Britain were to lecture on human rights, as the UK would feel if the roles were reversed. The comments come ahead of the Chinese leader’s first state visit to Britain from October 19 to 23, a decade since that of Hu Jintao, the former president, in 2005. Ambassador Liu’s statement followed Labour leader Jeremy Corbyn’s threat to use next week’s banquet at Buckingham Palace to raise his concerns over China’s human rights abuses. When he was a backbench MP [a member of parliament who holds no power], Mr. Corbyn campaigned for the release of political prisoners and called on Britain to stop selling arms to “repressive” regimes. The Global Times, a Chinese newspaper, lauded the Chancellor for his “pragmatism” in concentrating on business matters and not focusing on civil liberties like some other visiting Western leaders. During his visit, the Chancellor praised a “golden decade” for UK-China relations, and announced a £2 billion Chinese investment in Britain’s nuclear power industry but was criticized by human rights groups for failing to make any public statements on the lack of basic freedoms in China. 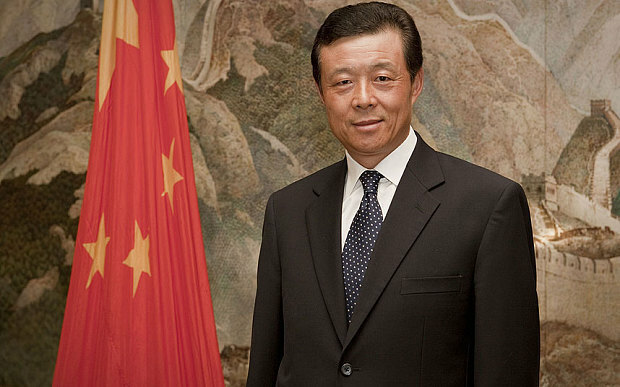 In May 2012 the Chinese government suspended all ministerial contact with Britain for over a year to punish Prime Minister David Cameron for hosting the Dalai Lama. Since then the Chancellor has been unapologetic in his efforts to repair the relationship. China regards the exiled Tibetan spiritual leader as a “dangerous splittist” and a threat to Chinese territorial cohesion. Downing Street [the British government] subsequently indicated that the Prime Minister had no plans to meet the Dalai Lama in the near future. b) The members of which religions revere Joseph’s Tomb? CHALLENGE: Do an internet search to find instances of Israelis destroying Palestinian and/or Muslim holy places. b) What effect has the lower than usual rainfall had on Zambia this year? c) What do Zambians want God to do? d) Do you think our president should call for a day of prayer and fasting to ask God to bless the U.S.? Explain your answer. CHALLENGE: Do an internet search to learn which U.S. presidents have called for national days of prayer (and fasting). Did you know the U.S. holds a National Day of Prayer? The National Day of Prayer is an annual observance held on the first Thursday of May, inviting people of all faiths to pray for the nation. It was created in 1952 by a joint resolution of the United States Congress, and signed into law by President Harry S. Truman. What are the Chinese mistaken about when they refer to ‘your own system’ of human rights? c) As the trade representative for the UK, should Chancellor use his position to discuss human rights violations in China? d) Should the British government talk about human rights abuses in China or just concentrate on having a diplomatic relationship with China/trading with China? Explain your answer. Palestinian President Abbas on Friday condemned the firebombing in Nablus as “irresponsible,” ordered an investigation into who was behind it and said repairs would begin immediately, according to the official Palestinian news agency WAFA. Clashes broke out at Jerusalem’s most sensitive holy site over the Jewish New Year, fueled by rumors that Israel was secretly plotting to take over the spot. Palestinian President Abbas has also spread these false rumors. The compound is revered by Jews as the holiest site, the Temple Mount, home to the biblical Jewish Temples. Today it houses the Al-Aqsa Mosque, Islam’s third-holiest site. 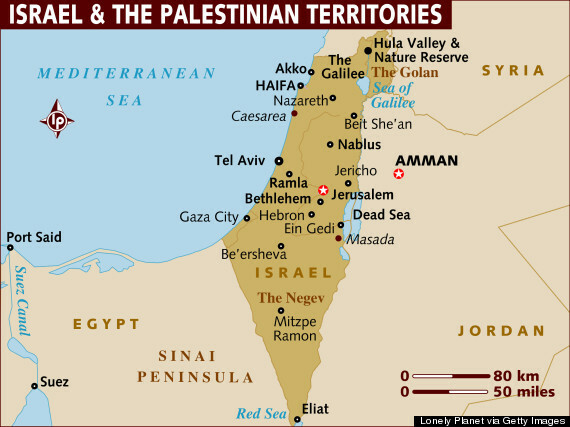 Israel captured the site from Jordan in the 1967 Mideast war, but allowed it to remain under Muslim administration. Under a decades-old arrangement, non-Muslims are allowed to visit, but not pray there. A growing number of Jewish visitors in recent years, coupled with calls by religious Jewish activists for a greater presence at the site, have stoked Palestinian fears that Israel is planning to change this arrangement. Palestinians fiercely defend the site as both a religious and national symbol. Growing Palestinian fears that the shrine is in danger triggered unrest across the region. The president’s call for a national day of prayer and fasting gained a wide support from Zambia’s churches, which conducted prayers all across the country for the mostly Christian population of 15 million people. Copper prices have dropped more than 20% in the past year, prompting companies such as Glencore Plc to consider shutting mines and fire thousands of workers. Zambia is Africa’s second-largest producer of the metal, which accounts for 70% of export income. The slump in the industry will slow economic growth to a 17-year low of 3.4% in 2015, according to estimates from Barclays Plc. But during the same period, authorities have also unleashed an extraordinary assault on basic human rights and their defenders with a ferocity unseen in recent years – an alarming sign given that the current leadership will likely remain in power through 2023. From mid-2013, the Chinese government and the ruling Chinese Communist Party (CCP) have issued directives insisting on “correct” ideology among party members, university lecturers, students, researchers, and journalists. These documents warn against the perils of “universal values” and human rights, and assert the importance of a pro-government and pro-CCP stance. Although the constitution guarantees freedom of religion, the government restricts religious practices to officially approved mosques, churches, temples, and monasteries organized by five officially recognized religious organizations; any religious activity not considered by the state to be “normal” is prohibited. It audits the activities, employee details, and financial records of religious bodies, and retains control over religious personnel appointments, publications, and seminary applications. In 2014, the government stepped up its control over religion, with particular focus on Christian churches.